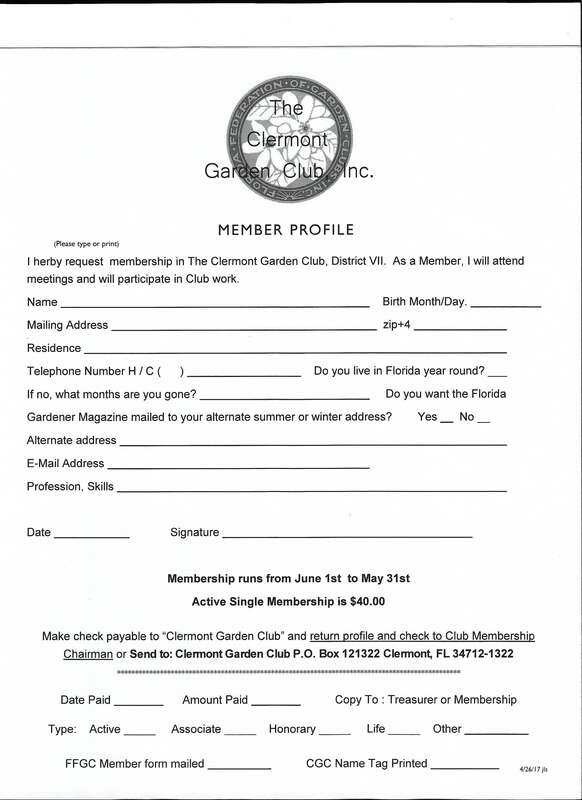 To join Clermont Garden Club, please contact Elaine Hogan, laniehogan@yahoo.com and Cecile Daniels, cecilessweets@yahoo.com. The Library at the Clermont Garden Center is open the third Wednesday of the month after monthly meetings. Books may be ordered from National Council through the Library and Book Service Chairmen, Margaret Piper and Julie Milburn.